Box Notes: Cabbage season is upon us. Add cabbage chopped into chunks to soup broth, finely slice as a topping on posole, make slaws, make rice/beef stuffed cabbage leaves or enjoy in a salad combined with the Batavia lettuce and fennel. We’re gearing up for St. Patrick’s Day when corned beef and cabbage is a celebrated spring dish. We are experiencing a gap in our orange carrots harvest but they will be back! The navel oranges are from Blue Heron Farm in Rumsey. They are CCOF certified organic. Correction: We will include oranges in the weekly veggie boxes through the middle of February. This year Blue Heron’s citrus yield was lower than last year, tho the fruits themselves were larger. Making for a shorter harvest season than usual. Blue Heron Oranges are now available for purchase in the web store: 10 lbs. for $20 or 20 lbs. for $40! 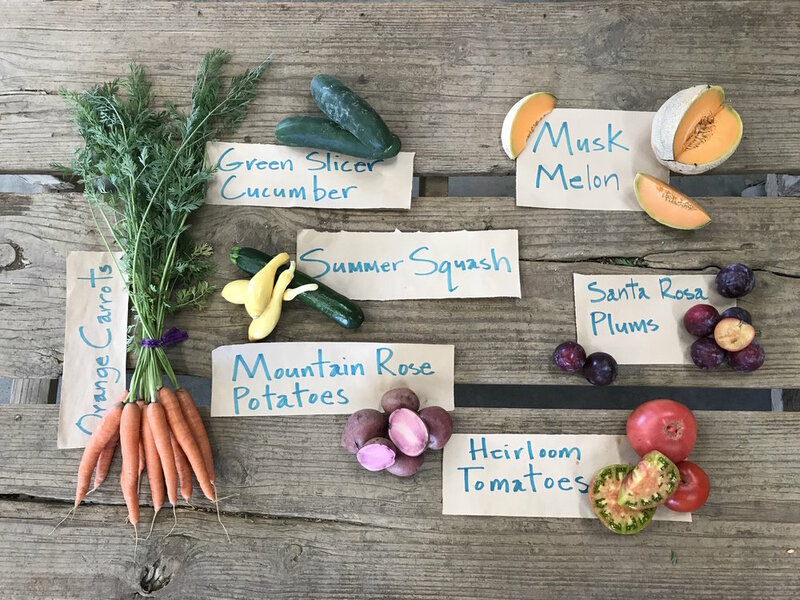 Follow this link to add a case or two to your next delivery: https://csa.farmigo.com/store/riverdogfarmcsa. A 6 hamlet celebration of the almond blossom season in the Capay Valley. Starting in Madison, driving along State Route 16, going about 20 miles up to Rumsey, you can view the orchards in bloom and stop to enjoy the music and food along the way. The Rumsey Hall, a historic community hall built in 1906 at the northern end of the valley, serves wood-fired pizza, pork sliders and beer and features live music. At long last, we are beginning to see the light, literally. We have been suffering a shortage of eggs here at the farm for some months now. Because of the lengthening light hours in the day our egg layers are beginning to produce more eggs! We are happy to announce that we now have enough eggs to offer our csa members the option of adding eggs to your CSA subscription. Instructions below. Once signed on, click the “Change” text next to your current Subscription located inside the Summary Box near the top right of your member page. Next click the “Options” tab (at the top next to Shares) and select the number of egg dozens desired and your corresponding csa delivery schedule.